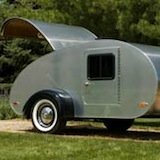 The Scamp RV is another maker of light weight fiberglass campers. 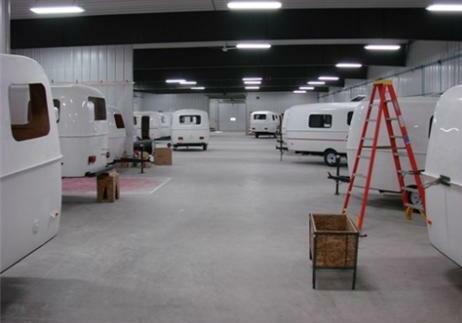 Scamp started in the early 1970s in negotiations with Bolar which was another fiberglass travel trailer company at the time. 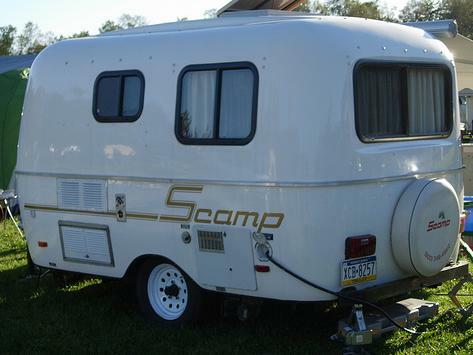 During the first few years of business only the 13 foot Scamp RV was produced. By 1977 they had built over 700 trailers. The next year in 1978 they developed the larger 16 foot Scamp. And just 3 years later in 1981 the 19 foot fifth wheel Scamp was produced. After that most of their changes were in features and floor plans. Today they offer the 13, 16 and 19 foot models with a variety of floor plans and options and operate under Eveland's, Inc. Here's a quick peek at their factory. Here's a look at the 13 foot model. 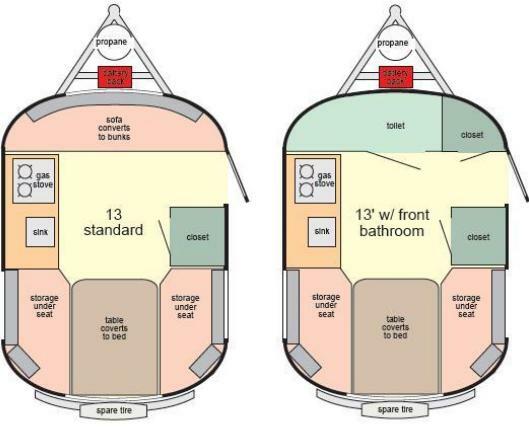 Scamp offers three different travel trailers: the 13 foot, 16 foot and 19 foot 5th wheel. All of them are light weight fiberglass. They're durable, aerodynamic and towable by small cars. 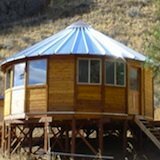 This is their smallest option which is catered for singles, couples and small families. 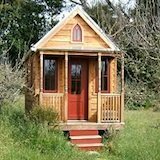 It can sleep up to four people. Front sofa converts to bunk beds and the rear dining area converts to a double bed. Or you can sacrifice the sofa for a bathroom. When you walk in you can expect a closet on your left and either the sofa or bathroom with closet on your right. Directly in front of you you'll have your kitchen. And to the left your dining area that converts to the double bed. For those of you who need more storage and counter space. And one of my favorite options... A shower. 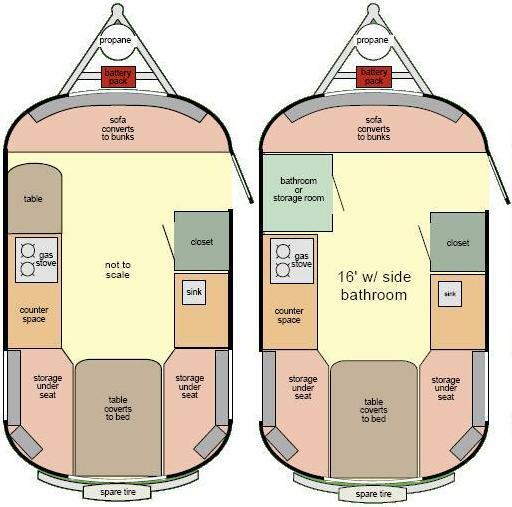 There's two options for the bathroom in this model. One with a side bathroom that can still sleep four. Then there's a larger bathroom with shower that replaces the sofa/bunk bed. 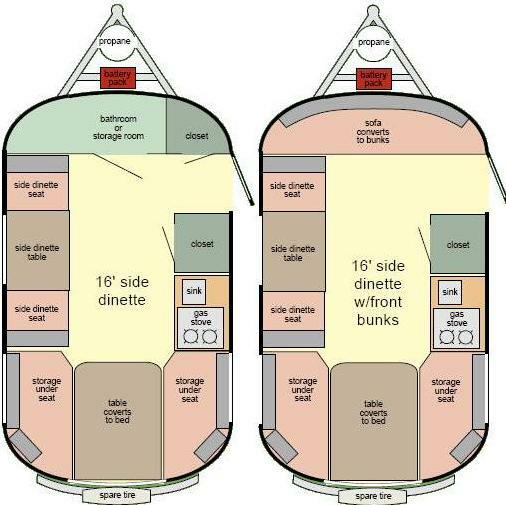 They've also added a 16' model with a side dinette for those couples/singles that don't want to have to convert their beds to a dinette everyday. I love this feature. There are 5 available floor plan layouts for this version so that you really can choose what's right for you and your family. Options are good! Scamp's largest travel trailer features a queen sized loft bed with thick cushions and it can sleep up to 6 people. This camper pulls easily and is still very light. I've seen these pulled by light trucks like Ford Rangers and Toyota Tacomas. 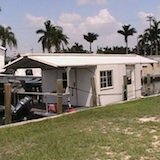 This Scamp RV has plenty of storage, bathroom plus shower, sofa that converts to bunks and the dinette that transforms to bed. To thoroughly explore the Scamp RV some more follow that link (opens in new window) to the official Scamp RV showroom where you'll find more pictures and information.